Alternate single and double crochet stitches to create this beautiful baby blanket. 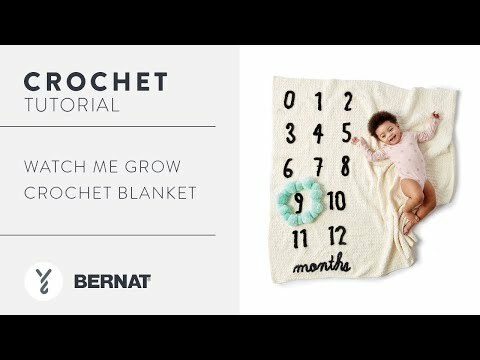 Bernat Baby Blanket Tiny is used to create the softness of this baby blanket, while alternating single crochet and double crochet stitches creates a plush texture that's perfect for baby! The numbers on this blanket are crocheted using increases and decreases in Bernat Softee Chunky to provide definition.